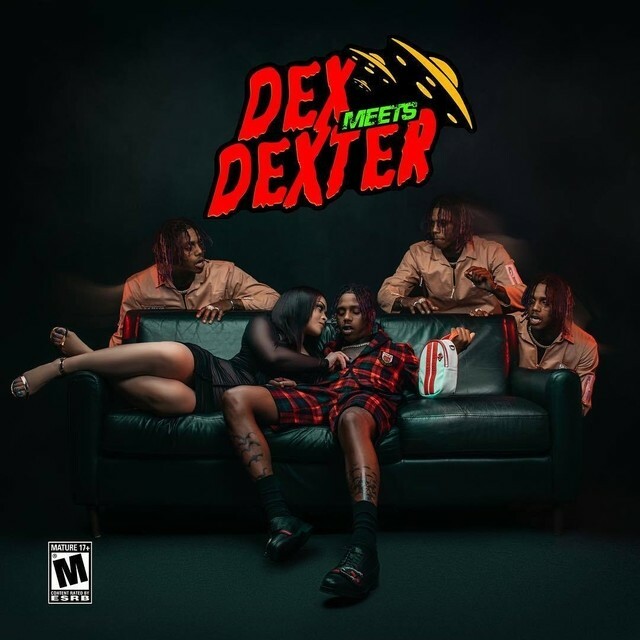 Chicago native and SoundCloud rapper, Dexter Gore Jr., famously known as Famous Dex, just released his much anticipated debut album Dex Meets Dexter on April 6th. Features like Wiz Khalifa, A$AP Rocky, and Diplo, alongside the releases of singles like Light and Japan just days before the release of the album, had his fanbase super stoked about this album. In November of 2017, A$AP Rocky and Famous Dex collaborated on their single “Pick It Up”. Not only did this song find its way onto the hip-hop charts, but it is, to this day, a song everyone can get down to. With his releases of “Light” and “Japan”, Dex showed audiences that his album had something for everyone. I wasn’t the biggest fan of the first song on his album, “DMD”, but it was authentic and true to him. He also had songs with more pop influences, like “Prove It”, and “Light” (which I kind of hated). In my eyes, Dexter is a really good producer with his original and bubbly trap beats. You can hear his authenticity and style in songs like “Japan”, “Deadpool”, and “Celine”. His features were super dope too, especially “Take Her” featuring Wiz Khalifa — it was a really good fusion of the two very different rappers. Tracks on the album like “XOXO” and “Chump” weren’t the best songs I’ve heard from Famous Dex but are definitely songs that grow on you. Towards the end, I kind of lost interest, but “Champion” featuring Diplo wasn’t like anything I’ve heard before. It was super unique and more relaxed for Dexter’s style, but I could still get down to it. My ad lib King, Famous Dex, did a really good job on his album and I’m super stoked about what he has in store for us in the future. His style is just something else and he brings a really different taste to the table. His music is much needed in the modern hip-hop community, and his debut album was pretty neat.